You can find some lovely truly beautiful gifts, which won’t break the bank if you know where to look. So here are some I found and will be gifting myself. 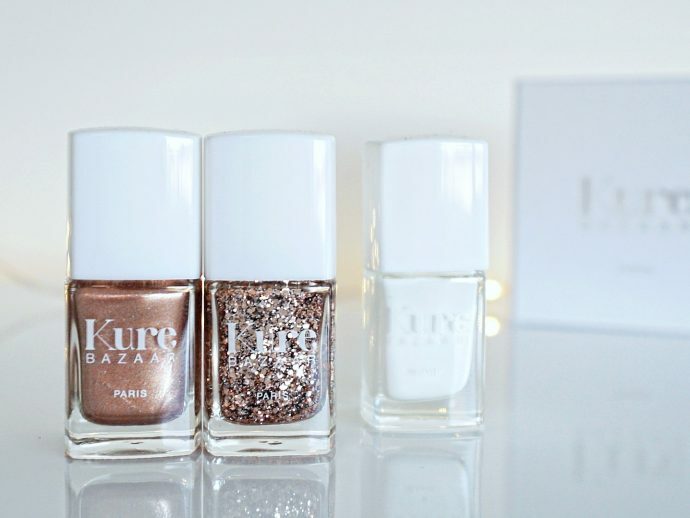 Kure Bazaar nail polishes – Kure Bazaar has a range of beautiful seasonal colours. They are not only pretty but also healthy. 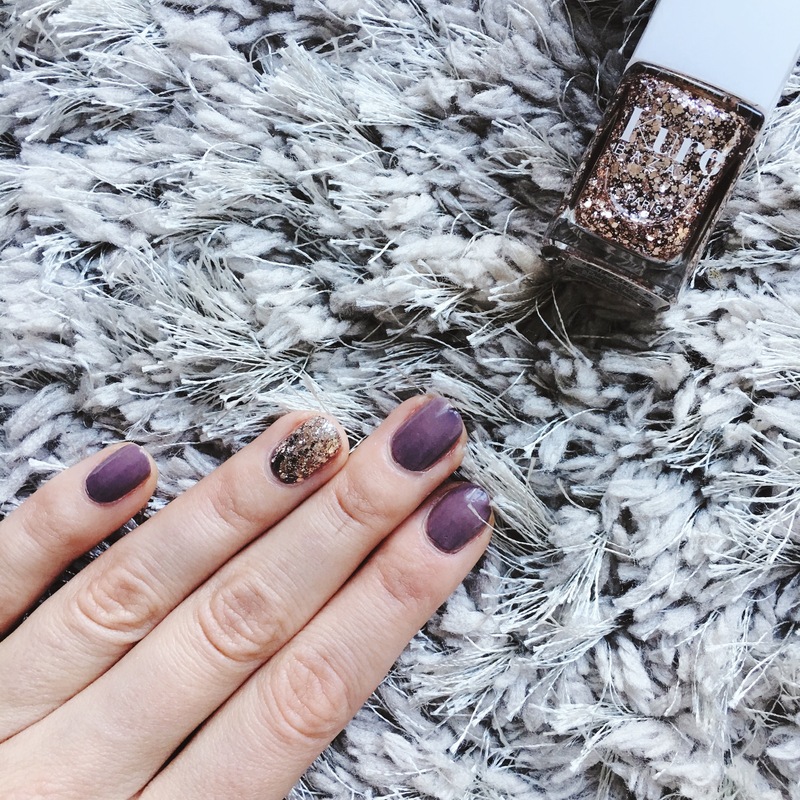 My absolute favourite for this season is the rose gold polish and rose gold glitter polish too. Kure Bazaar is a french brand, which thrives to produce healthy nail polish using as much natural extracts as possible. 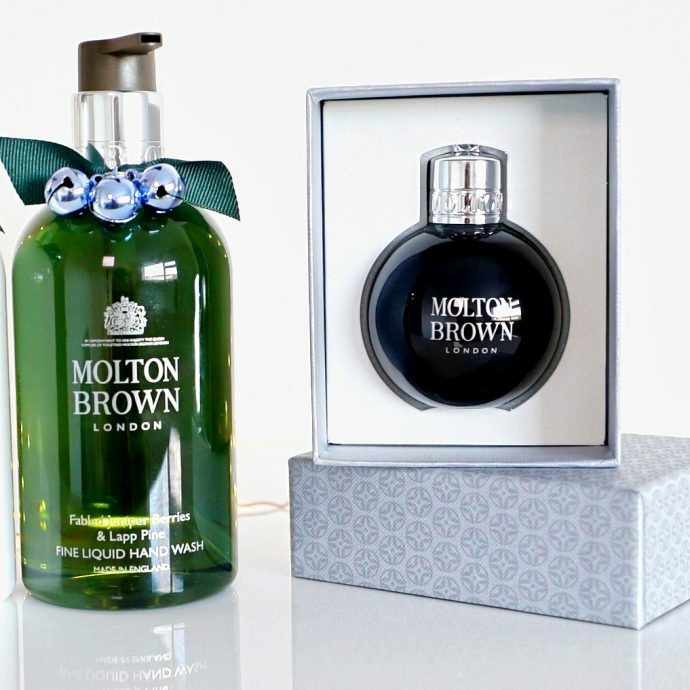 You can buy it at Fortnum and Mason beauty department or order it online here. Tea!! This is always a good idea in winter! 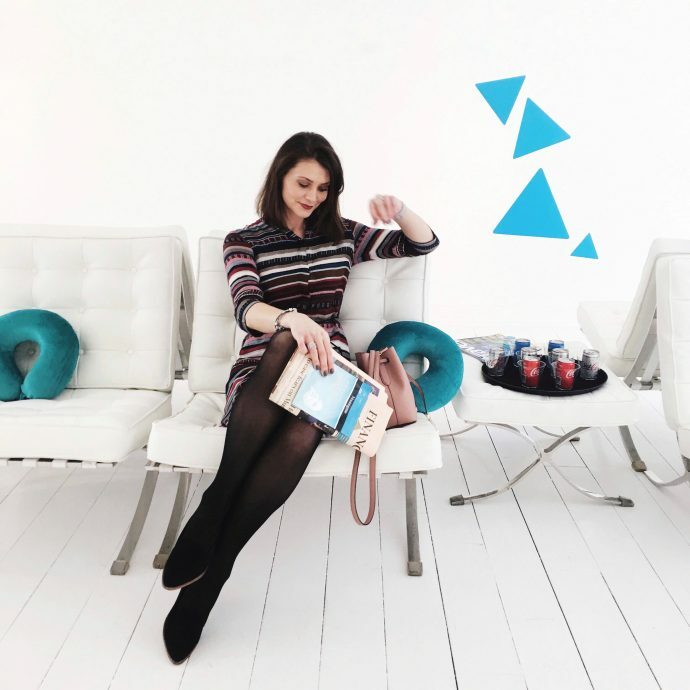 Those of you who visited the blog before know I can’t go a day without a cup of tea! Recently I’ve tried Piacha artisan tea and OMG the Rooibos and Rhubarb Fudge tea was simply fantastic. One of the best I had for a long time. I’m stocking up on this for sure! 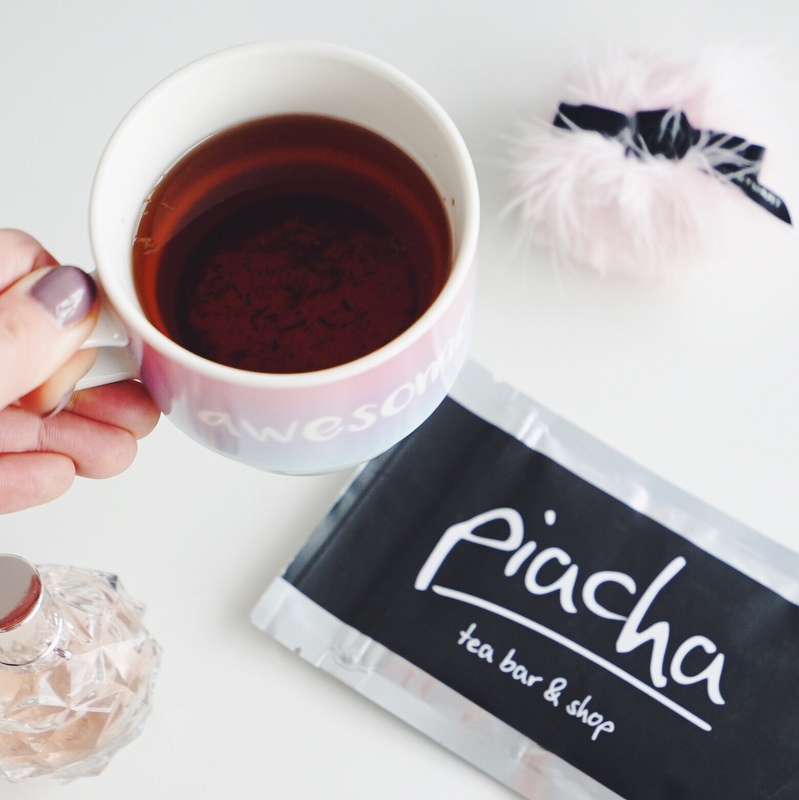 Piacha tea has a little shop in London but you can find other teas online and they have an amazing selection of gifts on offer. Like this little one here or something more for a tea connoisseur here. DHC Bento Box – You’ll find in this little box some of the brands best sellers, like the cleaning oil. Great gift for anyone with combination or oily skin. DHC is a Japanese skincare brand. Their products are really great and quite affordable. You can pick one up for £13.00 here. 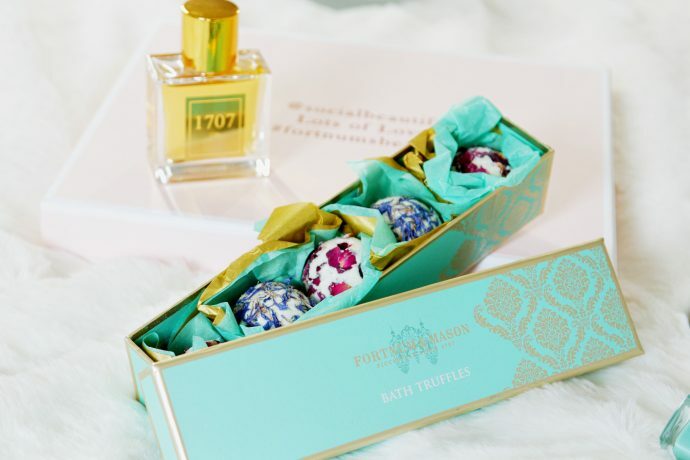 Bath soaps – so pretty it’s a shame to use them. 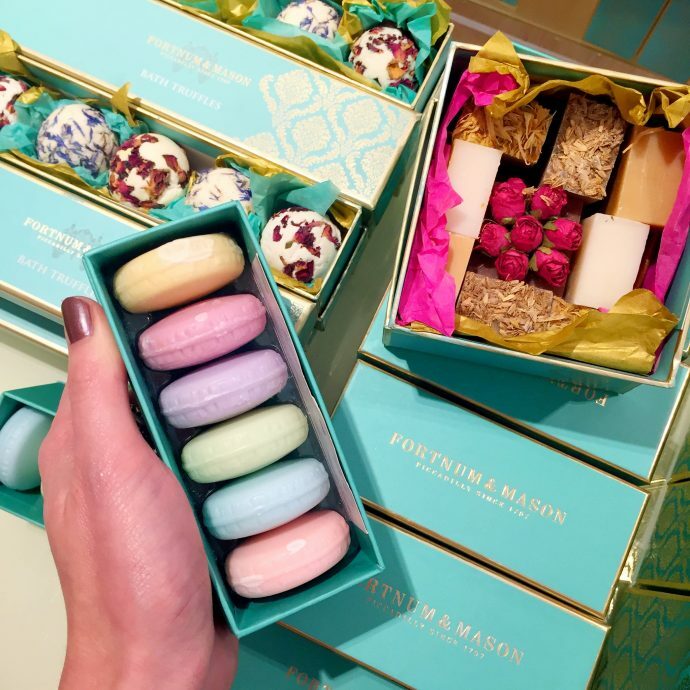 These hand made bath bombs are exclusively made for Fortnum and Mason. They look pretty and make a fab gift or a stocking filler. I like them in a traditional Fortnum and Mason packaging. Flower petals balls are available here for £20 The other two are here for a £30 and here for £25. Candles in winter make a lovely gift. I tend to feel naughty spending a lot on a scented candle so I always appreciate when I get given one. This season Molton Brown has got some rather lovely Christmas edition scents. There is actually an entire range that smells a little bit like a Christmas tree and a little like spice. 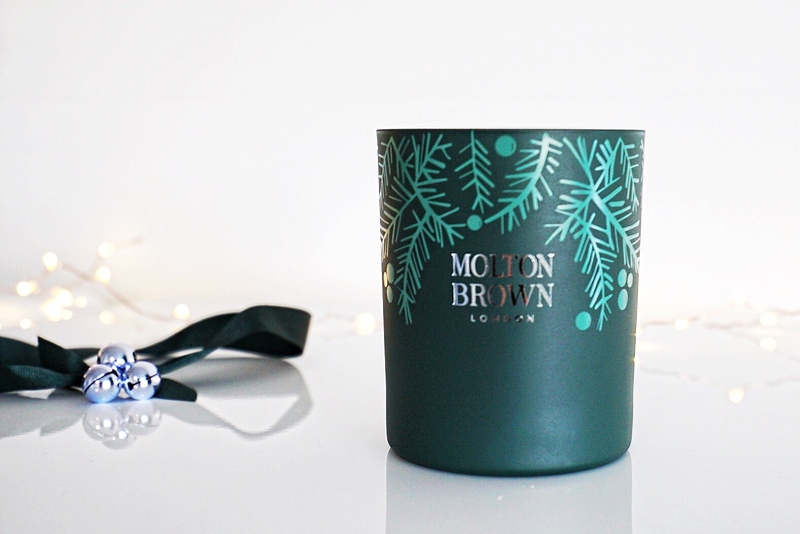 You can find a candle here for £39 or little bulbul with a shower gel for just £10 here. 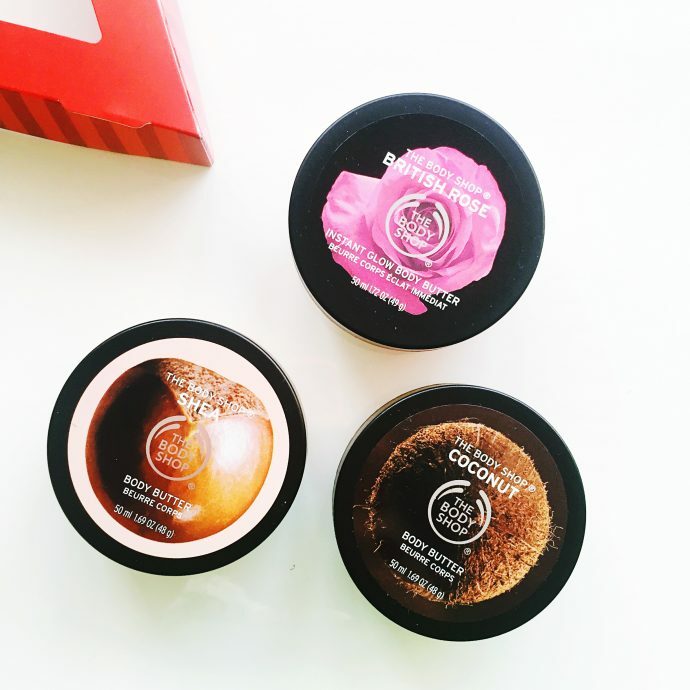 The Body Shop really went all out this year so you can find a vast selection of products but if you’re looking for a small well priced gift than you should grab the personalised body butter. You can order Christmas collection buyers here for about £14. Most stores should be able to offer personalised body buttes service. From every Christmas gift The Body Shop donates money to save rain forests. Every single gift pays for 1sq meter of rain forest preservation. There are lovely gifts from small stocking fillers and big luxurious gifts on offer. You can find them all here.